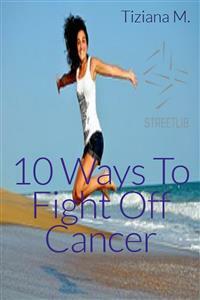 Opis ebooka 10 Ways To Fight Off Cancer - Tiziana M.
This might be the single-most crucial and easy to comprehend info you'll read about overcoming or preventing cancer. Once you comprehend the underlying causes of cancer and what to do to correct those causes, you are able to take effective action to overcome your cancer.Discovering that you or a loved one has cancer can be utterly terrifying. All the same, once you comprehend the causes of cancer and learn how to reverse those causes, you or your loved one may have more than a fighting chance of beating out cancer. Regrettably, these techniques can't help everybody survive, but if the individual utilizing these strategies has enough time left so that they may start to work, rather often they reverse their cancer. Opinie o ebooku 10 Ways To Fight Off Cancer - Tiziana M.
Fragment ebooka 10 Ways To Fight Off Cancer - Tiziana M.
This might be the single-most crucial and easy to comprehend info you'll read about overcoming or preventing cancer. Once you comprehend the underlying causes of cancer and what to do to correct those causes, you are able to take effective action to overcome your cancer. Discovering that you or a loved one has cancer can be utterly terrifying. All the same, once you comprehend the causes of cancer and learn how to reverse those causes, you or your loved one may have more than a fighting chance of beating out cancer. Regrettably, these techniques can't help everybody survive, but if the individual utilizing these strategies has enough time left so that they may start to work, rather often they reverse their cancer. Even if you're taking the standard medical treatments or just trying not to ever get cancer, you are able to safely improve the effectiveness of what you do by utilizing some of the things covered here. According to the National Cancer Institute, roughly 1/3 of all cancer deaths may be ascribed to our diets. The advocated diet isn't elaborate or expensive. There are a lot of foods and even spices that may very well help in the fight against cancer. Some authorities claims that a lot of healthy food choices will help reduce the possibility of contracting cancer, and may shrivel up tumors. There are a lot of factors that put up contribute to cancer. According to Mayo Clinic, inadequate diet, obesity and smoking give the sack cause cancer. Genetic endowment is likewise a factor in some forms of cancer. It's simple enough to protect yourself from skin cancer. You should utilize sunscreen during the daylight hours to protect your skin from UV rays. Cruciferous veggies like broccoli, cauliflower, kale, brussel sprouts and cabbage hold 2 major antioxidants-lutein and zeanthin. These antioxidants might help battle against prostate cancer. Most of the fresh veggies in the food market contain antioxidants, vitamins and minerals, which might aid in the prevention of cancer. Oranges and lemons perk up the immune system to drive back cancer cells. Papayas bear ascorbic acid, which works as an antioxidant. Raspberries hold a lot of vitamins and minerals which help protect against cancer. Nuts hold a lot of antioxidants, which might suppress the growth of tumors.